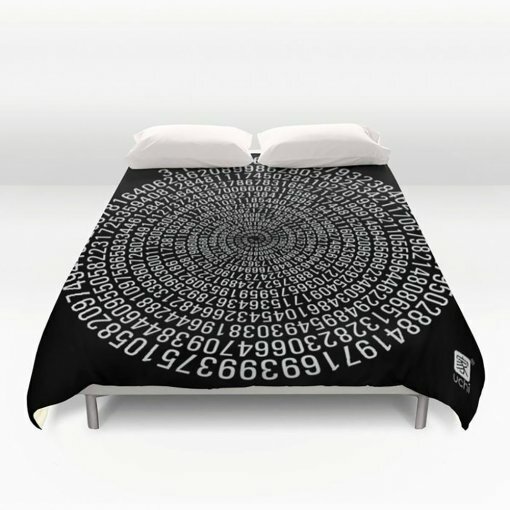 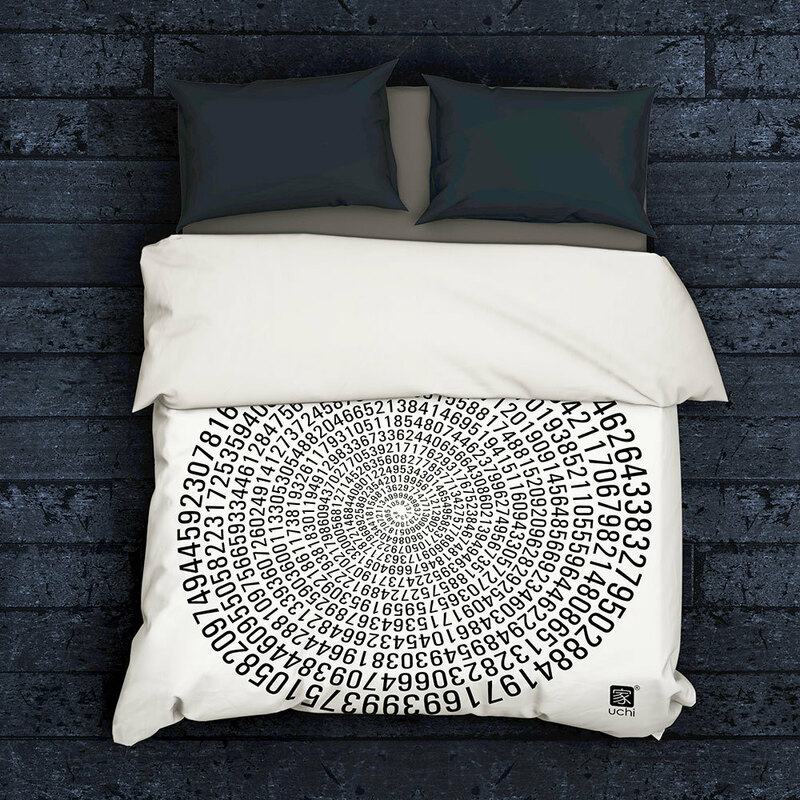 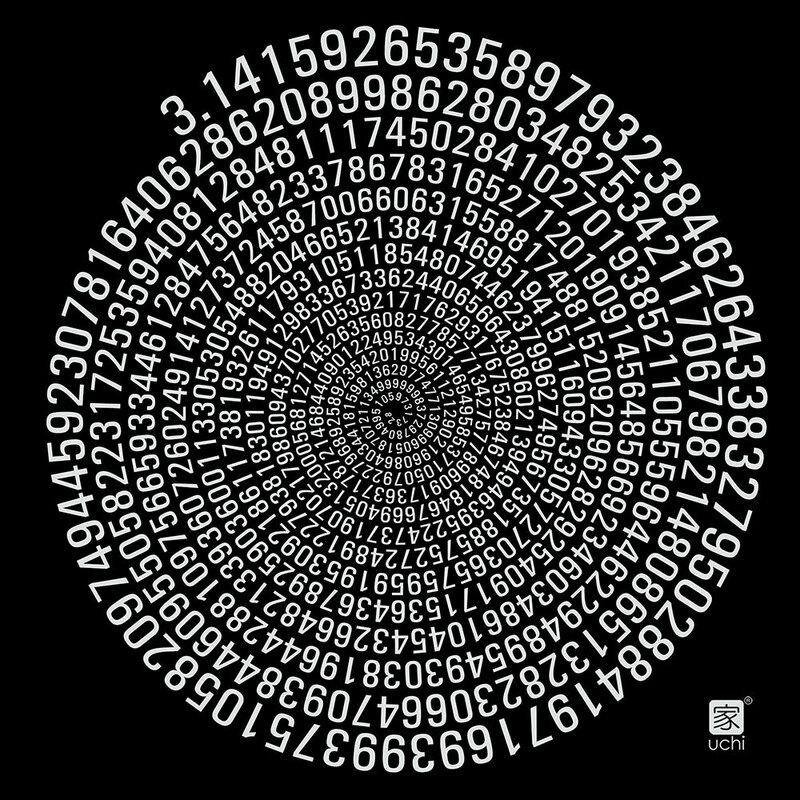 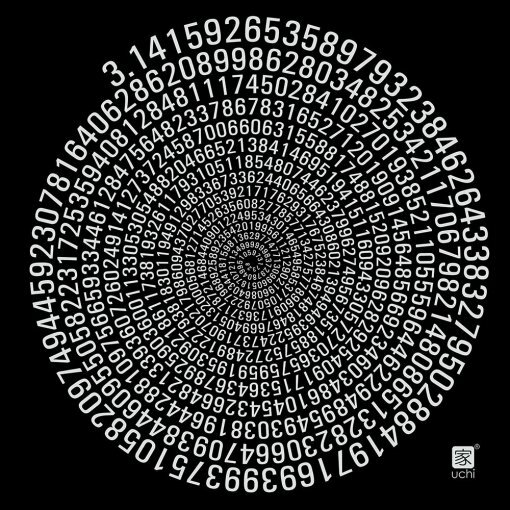 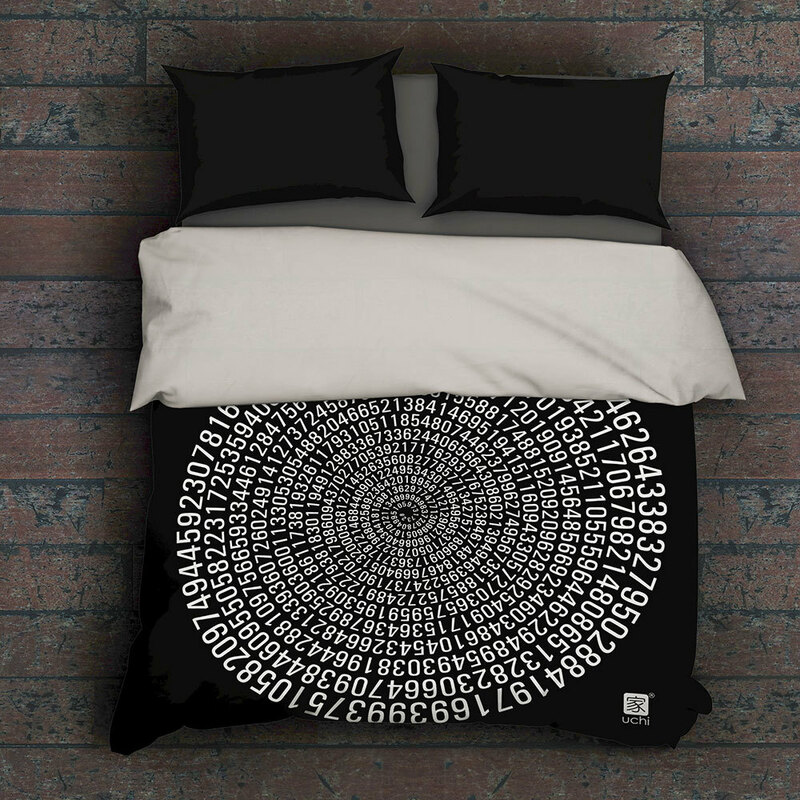 794 decimal places of pi hand sewn and crafted, lightweight duvet cover with a soft white reverse side. A durable and hidden zipper offers simple assembly for easy care – machine washable with cold water on gentle cycle with mild detergent. 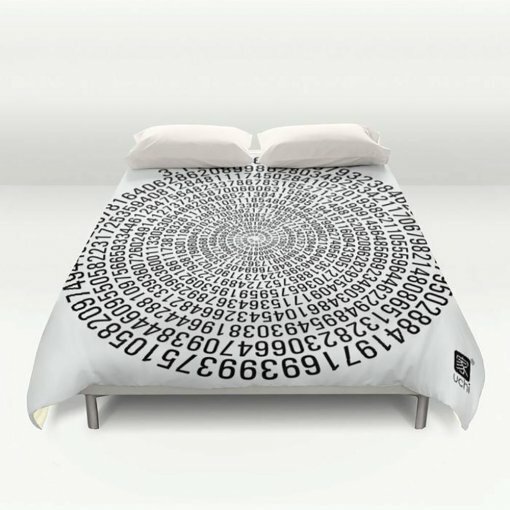 Available for King, Queen and Full duvets – duvet insert not included. 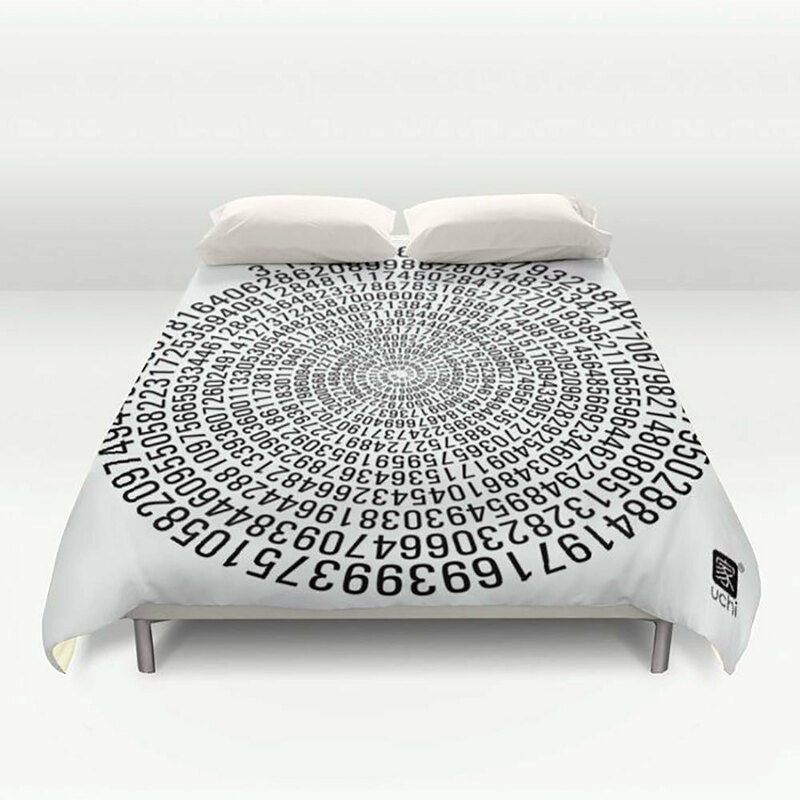 Queen duvet works for Twin XL beds.